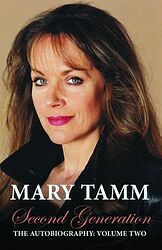 Note: Second volume of the late Mary Tamm's memoirs, following First Generation. Bradford-born Mary Tamm was already a successful actress on stage, TV and the big screen when, in 1978, she joined the cast of Doctor Who as the Time Lady, Romana, in the company of Tom Baker's incarnation of the Doctor. In 2009, her book First Generation recounted the story of her life before Who and her journey of self-discovery to her parents' homeland of Estonia. Tantalisingly for Who fans, the book came to an end half way through Mary's year on board the TARDIS. This new volume (written before her tragic death from cancer in 2012) picks up where First Generation ends, with the inside story of the filming of her final three Doctor Who adventures; and continues with tales of her subsequent TV work, her return to the stage, her ventures into the world of Who fandom, and the personal joy and fulfilment brought to her by the birth of her own 'second generation' — her daughter, Lauren. Packed with incidents and anecdotes recounted with Mary's trademark no-nonsense Northern wit, Second Generation is concluded with tributes and reflections from some of her closest friends and colleagues, including Miriam Margolyes, Carol Royle and Steven Berkoff. Note: Limited edition of 200 copies. Bradford-born Mary Tamm was already a successful actress on stage, TV and the big screen when, in 1978, she joined the cast of Doctor Who as the Time Lady, Romana, in the company of Tom Baker's incarnation of the Doctor. In 2009, her book First Generation recounted the story of her life before Doctor Who and her journey of self-discovery to her parents' homeland of Estonia.